Sometimes you run into issues with your kitchen design that require a little bit of thinking to get around. 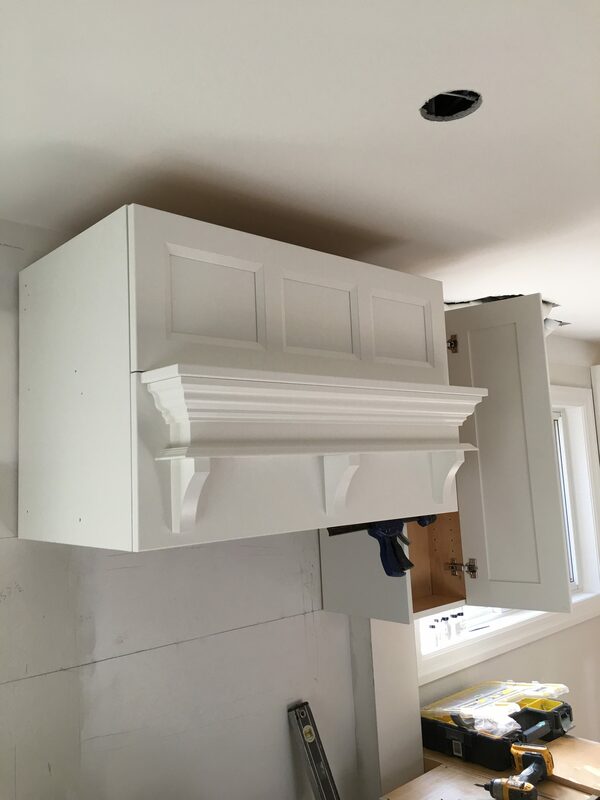 Whether it is an exposed appliance end, a drain pipe that you didn’t anticipate or a beam that is running right through where you wanted to put cabinets. 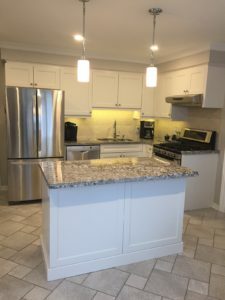 kitchen renovations can be frustrating at the best of times, however an experienced kitchen designer who knows how to work with cabinetry can usually come up with a solid workaround that saves the integrity of the kitchen design without breaking the bank. In Oakville, Burlington, Hamilton, Dundas and Ancaster, many homeowners are choosing to turn traditional centre hall plan homes into open concept spaces with large kitchens featuring islands and custom kitchen cabinetry. These type of renos often present the types of design challenges I am speaking of. Here are a few examples of kitchen design issues and how they can be handled. Another common kitchen design challenge is when you open up a wall only to find that the builder had buried a drain pipe inside it and the pipe cannot be moved. Depending on the layout of the proposed kitchen renovation, there are a few ways to handle this. 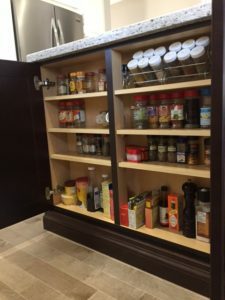 If the pipe is running floor to ceiling where you had planned to put a pantry, you can simply cut back the pantry to a depth that will keep the facade of the kitchen the same, but reduce the storage capacity of the pantry – you would never know that the pipe was there, unless you opened the pantry door. 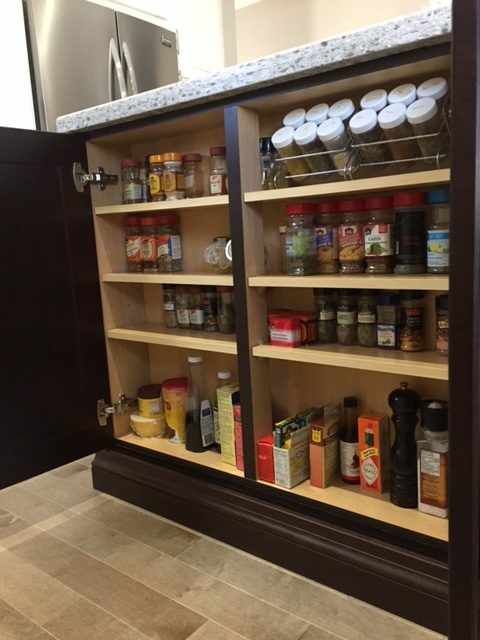 If the pipe is running vertically from floor to ceiling where uppers and lowers were meant to be, you can always cut back both the upper and the lower and find creative ways to use shallow kitchen cabinets, like for spices or storage of a small appliance (see pictures). In this case, the kitchen designer will need to have this pipe drywalled and plan for the backsplash to be wrapped around this column. 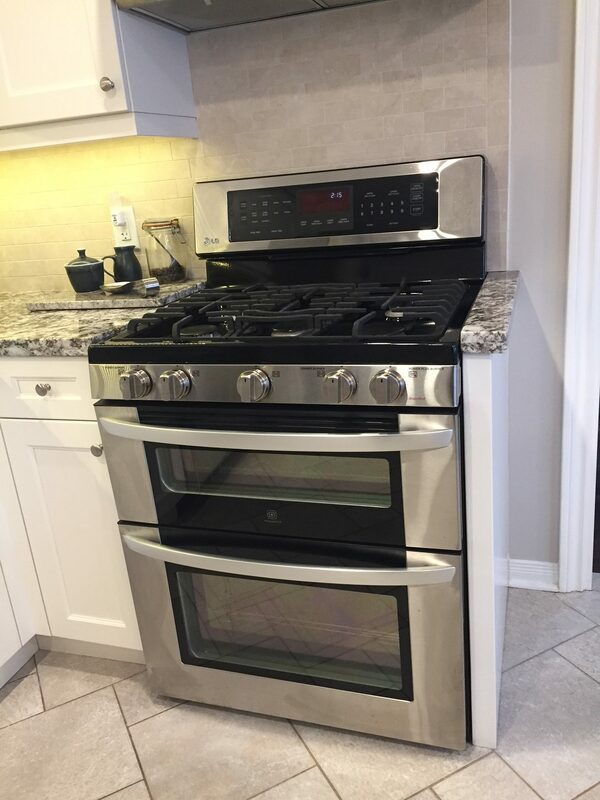 If this drain pipe is beside the stove, your kitchen designer can get creative with the cabinetry and or create a second column on the other side of the stove that is also back-splashed, to make it look intentional and not draw your eye to the obvious obstruction. Your kitchen designer may also choose to have the upper kitchen cabinets extend down and sit on the countertop in front of the pipe to hide it altogether. 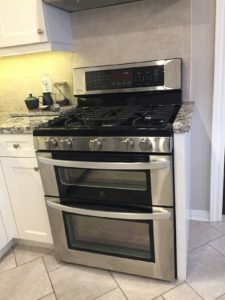 The best way to deal with any such design dilemma in your kitchen renovation is to have your designer work with the layout and design to create an opportunity to solve the problem. Kitchen cabinetry can be customized to accommodate many obstructions and design challenges that would otherwise cost homeowners a lot of money, or deprive them of the kitchen design they really wanted. An experienced kitchen designer and a skilled installer are the key to a successful kitchen renovation!